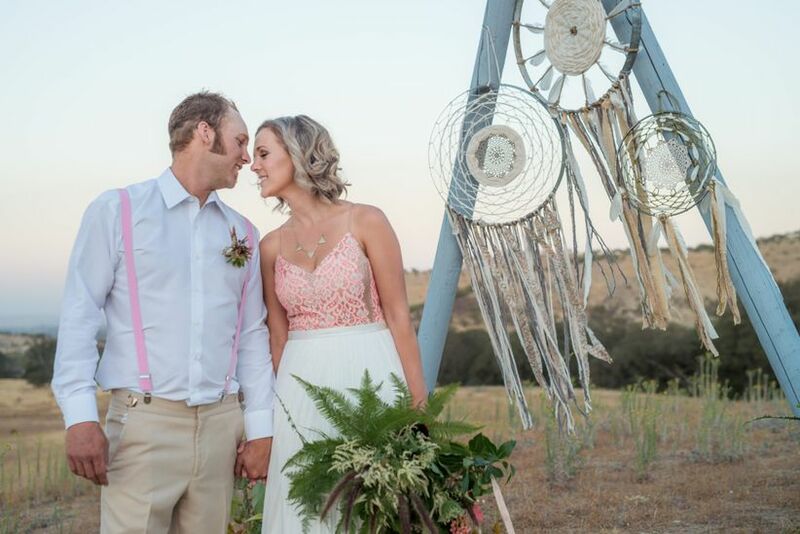 Now THIS is how you pull off a free-spirited, boho wedding — just check out this styled shoot set on a breathtaking ranch in Paso Robles, California. 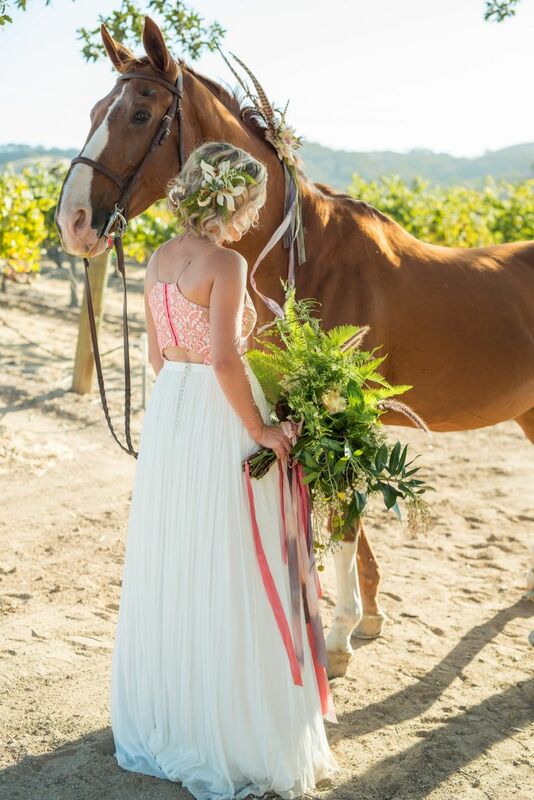 Calling all free-spirited brides and grooms out there—this styled shoot gives us all the feels when it comes to creating the ultimate boho wedding style. 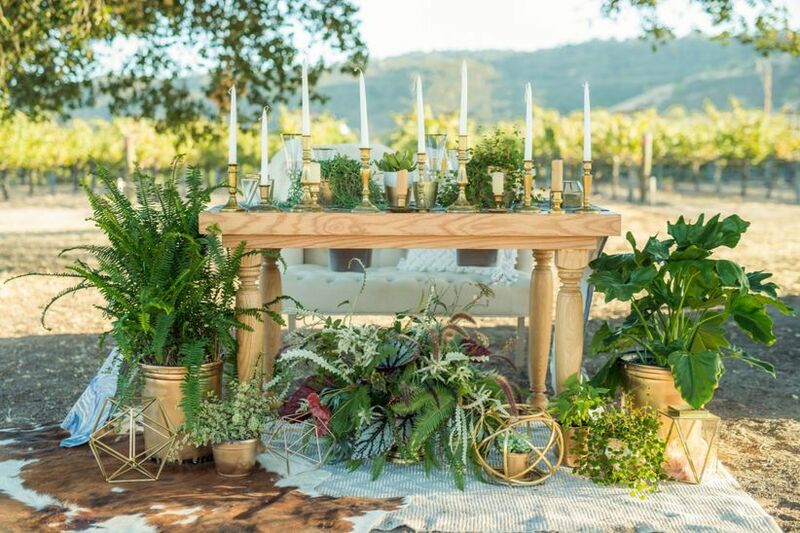 If lush greenery, geometric centerpieces and other whimsical details inspire your wedding style, then you’ll definitely fall in love with this shoot. 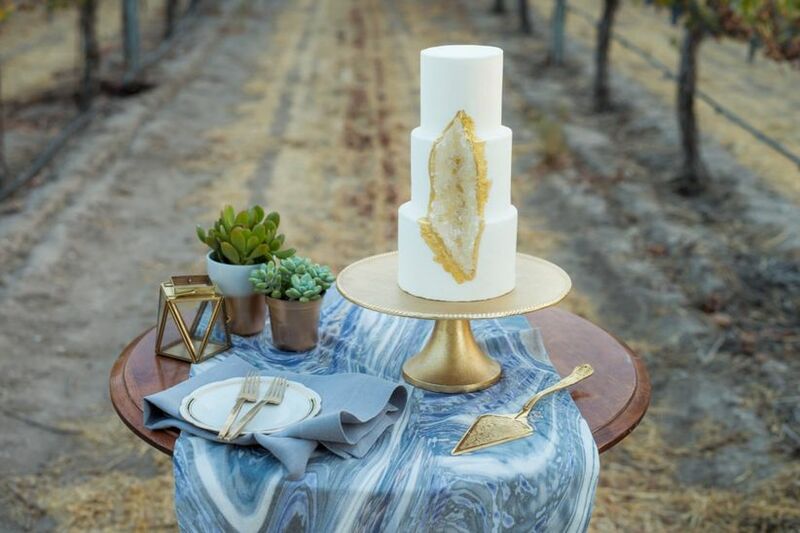 Set in Paso Robles, California, event designer Amanda Beazley of A Perfect Day Wedding and Event Design teamed up with other local California vendors to create a boho wedding style that we’re obsessing over. 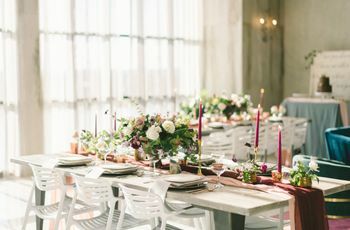 If you’re trying to evoke a laid back aesthetic for your special day then you should definitely check out how these experts pulled off this boho wedding style. 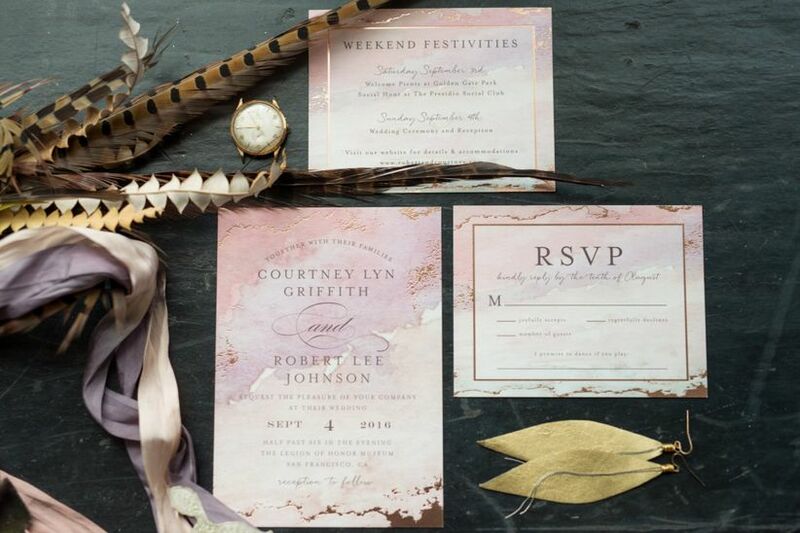 The invitation suite featured watercolor detailing and gold foil to evoke a relaxed vibe. 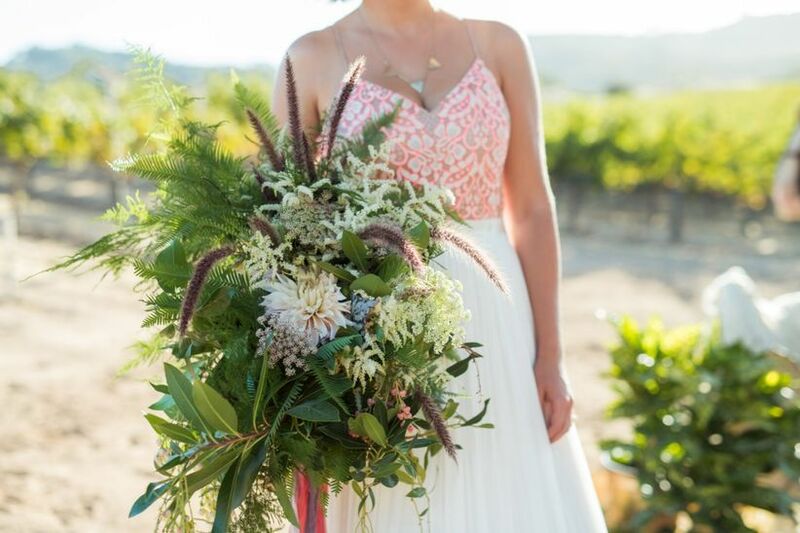 This whimsical bouquet is filled with fern, bay leaves, ivy, Cafe au Lait dahlias, Lily of the Valley, Queen Anne's lace and other greenery. 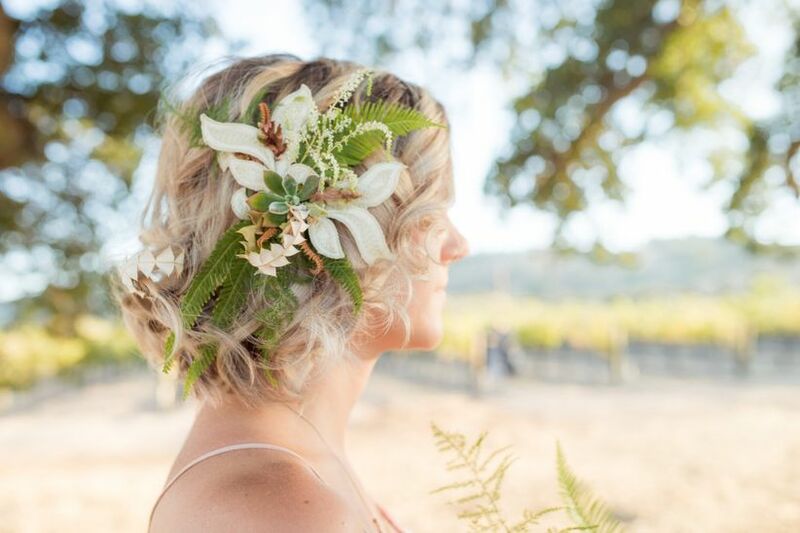 A loose updo can be dressed up with an assortment of delicate florals to create a romantic bridal look. This spaghetti strap gown turns heads with the help of its brightly detailed bodice. We love how the lace florals are lined with an eye-catching neon to make the look modern and fun. 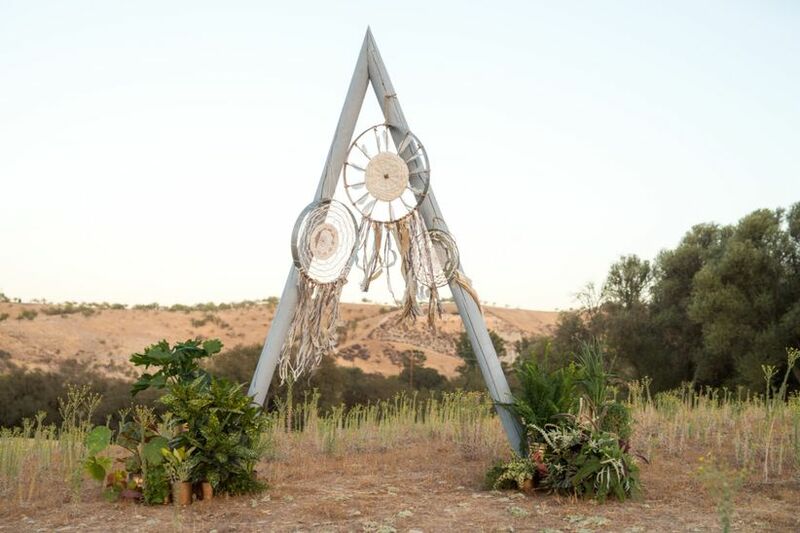 A triangular arch draped with oversized dream catchers served as a laid back ceremony site. 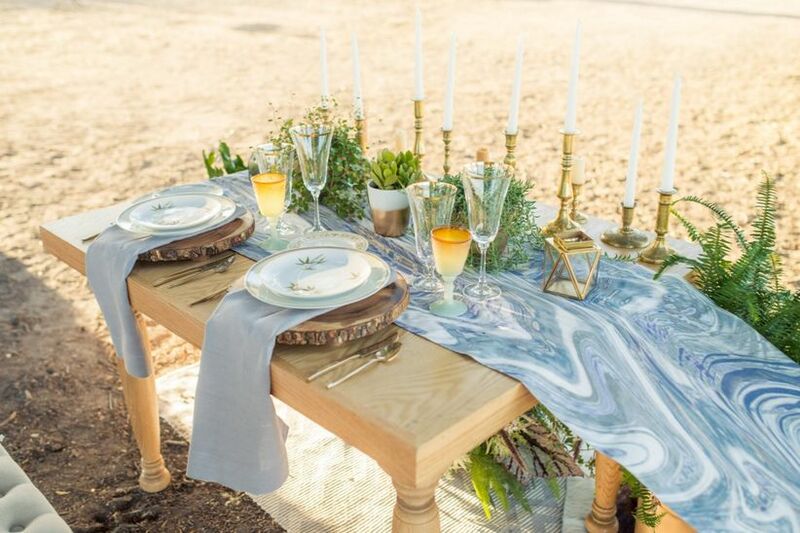 This is a perfect ceremony idea for couples looking for an intimate setting to exchange vows, too. 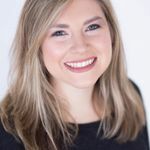 “The diversity of the venue provided various sites for each segment,” says Amana of A Perfect Day Planning. 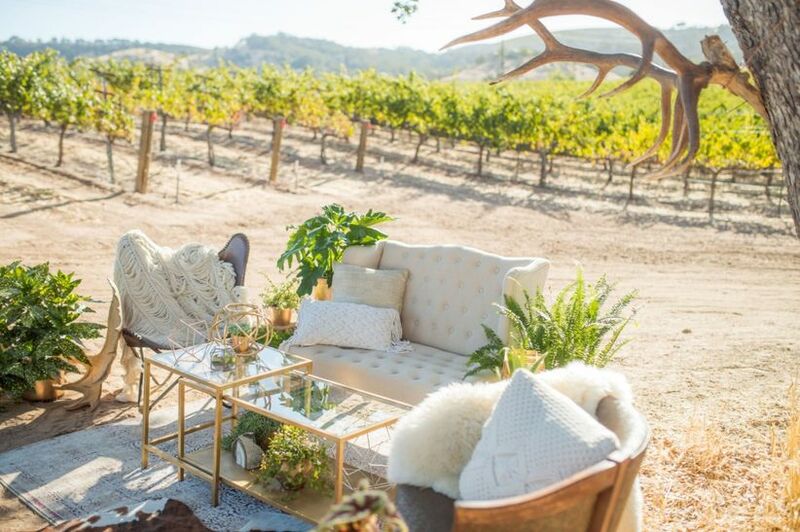 They easily set up a relaxing cocktail lounge in the woodsy area of the Vintage Ranch. 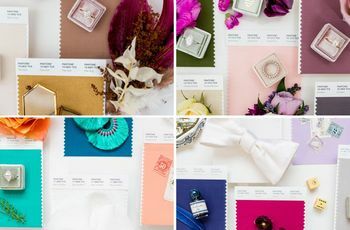 We can’t think of more chic (and also modern!) setting for a lounge. 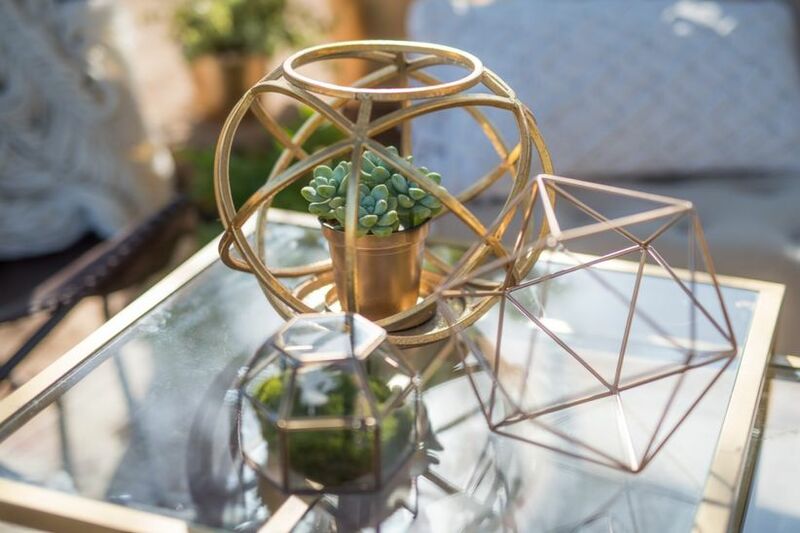 Geometric centerpieces and terrariums were used as decor throughout the shoot. 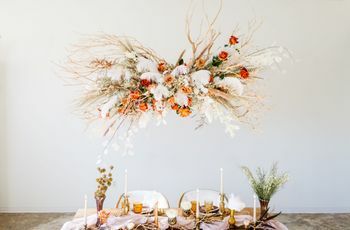 This added to the relaxed Southern California vibe, since it paired well with other rustic and bohemian-inspired details. 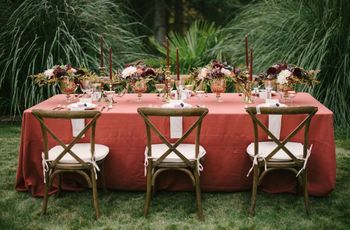 The sweetheart table was dressed up with a granite-inspired table runner, taper candles and potted succulents to create an eclectic aesthetic. 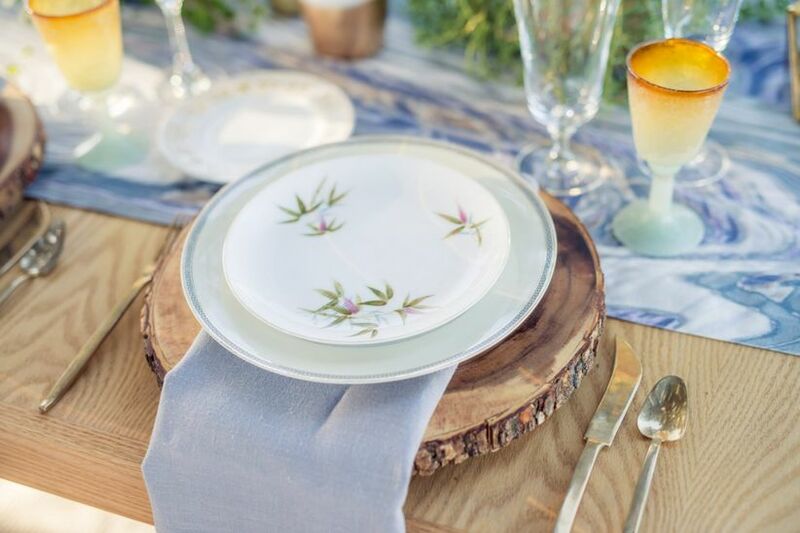 China plates decorated with greenery details were placed on top of wooden tree slices and served as place settings. Glassware consisted of multi-colored goblets as well as gold rimmed flutes. 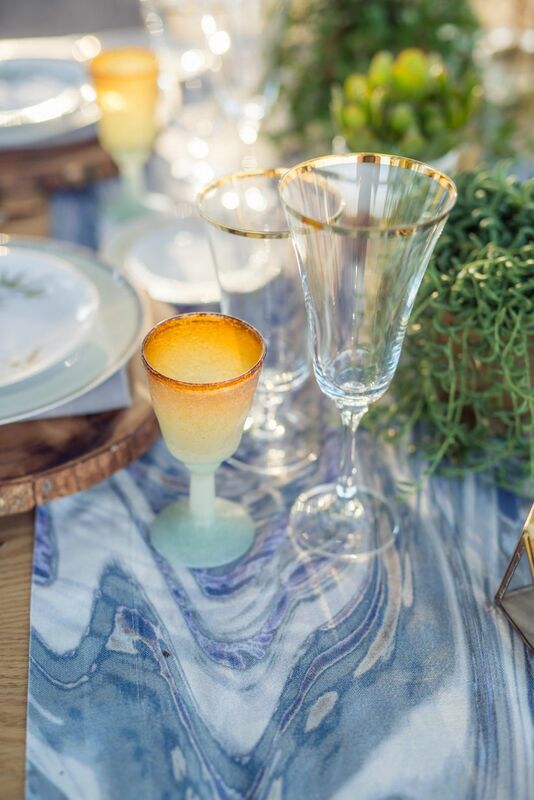 inspired table runner and looks (almost) too good to eat!